"Jim Gavin is a smart man and a great manager so he will get every player knowing that a poor or below the standard expected performance and you could sit out the semi-final." Straight away I think the handicap of eight is too big. I have been very impressed by Kildare all year. Losing Daniel Flynn is a big loss though, he was their star man all year. How will they rejig the forward line will be intrusting? Will they send Cribbin in or another target man? The fact that Kildare are out of the competition will have to have some effect on the mind of the players, but there is no way Kildare are coming down to Kerry, to be embarrassed after the great season they have had. They won't want to go down with a whimper. Kerry's back is right up against the wall again, lose and it is all over. They are starting to get a little better I believe; the backline has improved but they still have massive issues upfront and in midfield. Kerry need this win, that is it, all they need is a win and then hope that Galway give them a favour as it is now out of their hands. Some of the younger players are really starting to get going and if they get through they will have nothing to lose. They really need a good, solid performance and work rate is what we want, I haven't seen Kerry work hard enough this year. I do expect Kerry to win but the handicap is too big. The big question in this is, with Galway through already, what way will they approach it? In my mind, Galway will go out to win this game, will they field their strongest team? I don't think so, they play six days later and they know that. Remember Galway have only been beaten once this year and that was by Dublin in a National League Final. There is no way Kevin Walsh wants to get beaten a week before an All-Ireland semi-final no matter who he puts out. It is very risky to not take this game seriously when you have such a big weekend next Saturday, it's dangerous. Every player will have to go in with the right mindset and that is thinking if I play poorly I could lose my spot next weekend. Monaghan are fighting for their lives but they seem to be missing a ruthless side. It was missing against Fermanagh, it was missing against Kerry, Kerry were on the racks, Monaghan were on top in so many areas and didn't get the job done. This is a huge game for Monaghan. Excitement and edge will play into this. I don't think Galway will give near the amount of space to McManus that other sides have given, in many ways this will resemble an Ulster game with the style of play that Galway play but Galway have come through some hard and close contests already this season. Tight battles. I expect their big players to stand up, they are working so well as a unit now and even though I still have questions about their defence are Monaghan good enough to expose them? For me, no. Monaghan last week only got four points from their team outside of Beggan and McManus. That is a poor return. I don't believe this Galway team want to start losing matches in what will be a huge eight days for them and I expect them to win with a bit to spare. The game of the weekend, the history of these two is a great read but not since the 1970s has Tyrone had to go up to Donegal in the knock-out stages of the Championship. That is something to look forward to. Donegal have tweaked things for the better this season but they have problems on the injury front. Paddy McBrearty as we know is out and so too is Eoghan Ban Gallagher, these are huge losses, add to that where do they play Michael Murphy and Donegal look to be in a bit of trouble this weekend. Tyrone did very well last time out against Dublin, I was very impressed with their subs and the impact they had. What Dublin did do very well was to keep Tyrones's leaders quiet. The likes of Mattie Donnelly, Peter Harte & Niall Sludden were all shackled by Dublin. They must step up, if they all step up to where they should be then Tyrone can improve on the Dublin performance. This is going to be ferocious, intense battle. 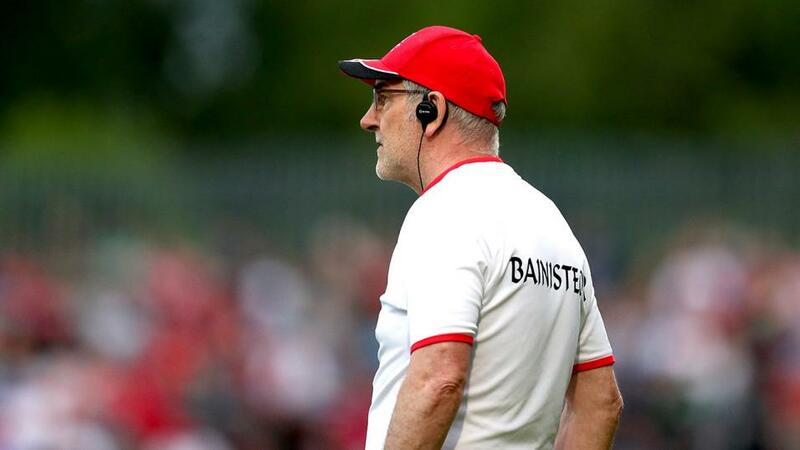 It is so hard to call, we know how Tyrone are going to play though so we know they will run with the ball and Donegal will sit back and whoever wins the battle in the middle of the field will come out and top and I just think that Tyrone will be the ones to do that and win what I expect to be a very close game. I know Jim Gavin has spoken to the media and said that this Dublin side will take every match as it comes, that they will take this game as seriously as others and other such soundbites. The reality is Dublin are qualified, this game does not matter at all to them. Now, I do believe Dublin will start with a strong team and get the job done early and then unload the bench and give a few of these fringe players the opportunity to prove themselves. Jim is a smart man and a great manager so he will get every player knowing that a poor or below the standard expected performance and you could sit out the semi-final. Roscommon will have a lot of scars from this Super 8's experience. The life was sucked out of them in these two matches. They are a serious side going forward but they leak so many scores at the back, they have a real problem in their defence. Pride is there for Roscommon, they will want to finish the season on a high but Dublin are the wrong team to be going into a game against trying to restore some pride. I can see Dublin push up on their kick-outs and Roscommon will struggle for ball. Dublin have looked so comfortable for most of the year and this game is only going to go one way. Dublin to win and I fully expect them to cover the handicap.